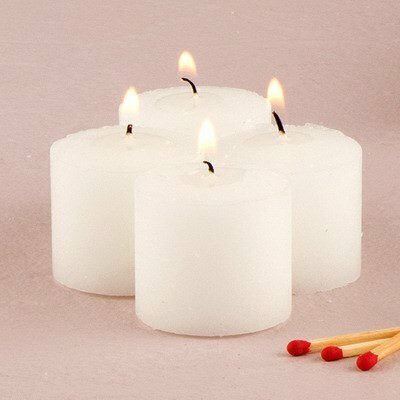 Create a romantic atmosphere at your reception with these clear burn votive candles. Each candle has a burn time of approximately 10 hours, and the wax melts into a clear pool. 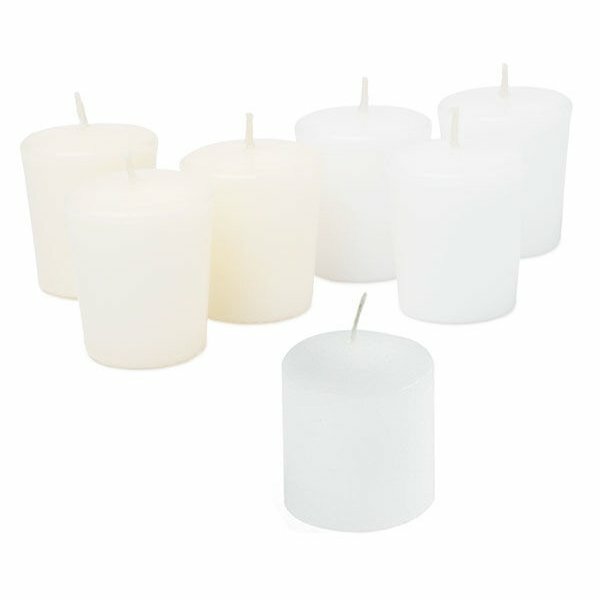 Sold in a package of 72 candles, either white or ivory.